Quantum physics reveals what ancient masters knew; matter does not exist! Aristotle's philosophy led to the creation of the concept of substance. The world's ills are caused by the belief that the substance of the universe is matter. This belief leads to a fear-greed dichotomy and a scarcity mentality. In fact, the substance of the universe is consciousness! Therefore, it is behavior that is important as we mold and form our reality from the living fabric of the consciousness of creation. 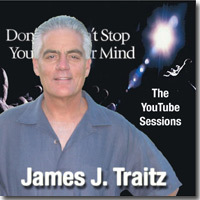 Would you like James J. Traitz to speak at your event? This video explores whether the physical world we perceive and wake up into each day exists apart from us as well as the relationship between our minds and our experience. Five musicians from around the world took James' Audiobook and created an album called Consciousness, The Chill Out Mixes using his words with their music: Zzzzra from France, Est Et Non from Australia, Starflower from Canada and Toni Latenz as well as Johannes Jaeger from Germany. This video shows one minute samples of each song. The album is available at Amazon, iTunes and all other legal digital download stores. One of the most important subjects in all of reality is the issue of love. Love literally is the most powerful force in the universe. This is part one of 70+ episodes. This series will teach you, point by point, the secrets of life, how you create your own reality and how to tackle life's most daunting challenges. All topics will be explored scientifically, philosophically, religiously and intuitively. I will gladly answer any questions you might have. This is part 2 of 70+ episodes. The schools are teaching us 1940's science. We do not live in a physical, material universe! Who and what are we? This is part 3 of 70+ episodes. If consciousness is indeed the substance of the universe, behavior, rather than acquiring material possessions, becomes paramount. This is part 4 of 70+ episodes. The secret to reality formation lies within ones beliefs. To alter your reality, however, one must get to one's hidden core beliefs, existing beneath the level of "surface" beliefs. This is part 5 of 70+ episodes. 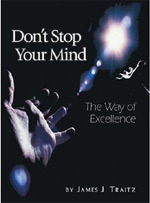 Most of us spend a majority of the day in unconscious repetitious activity. We don't remember the minute by minute, hour-by-hour experience of the day. This is because we are spiritually asleep during these periods, which amount to the majority of our lives. This is part 6 of 70+ episodes. The Japanese word for double attention is mu-shin. Mu-shin consciousness is the mind of the master, the consciousness of the warrior. When in double attention, or mu-shin consciousness, one may encounter ten foes, and deal with them as if they were only one. This is part 7 of 70+ episodes. If a tree falls in the forest and nobody is there to hear it, does it make any noise? Is man the observer of a real universe that is out there or is there nothing out there, is it all inside of us? Is man the source of all things? This is part 8 of 70+ episodes. The Greek philosophers understood that the mental impressions that arise in our minds are appearances and not the original reality itself. This is part 9 of 70+ episodes. What is the highest principle in the universe? Is it truth or is the good? The Sophists said it is the good. The Aristotelians said it is the truth. The Aristotelians prevailed over the Sophists. Matter, cause and effect, space and time and the material universe won over soul, God, quality and a concept called Arete. This is part 10 of 70+ episodes. The double-slit experiment and the question: Is light composed of particles or waves? This is part 11 of 70+ episodes. On the subatomic level reality behaves in accordance with the expectation of the observer. As everything in the universe is composed of subatomic particles, reality behaves in accordance to our beliefs and expectations. We are unconscious co-creators. This is part 12 of 70+ episodes. Erwin Schroedinger discovered that basically there are two entities in the universe: physical matter and the observers. The observers are non physical. We are the observers. We are spiritual entities and we formulate our own reality. This is part 13 of 70+ episodes. How to create your own reality and use your beliefs to stop smoking or lose weight. This is part 14 of 70+ episodes. How to correctly perform self breast examinations. This is part 15 of 70+ episodes. Each of us represents a trinity. The trinity is composed of your soul, your conscious mind and your body consciousness. Your soul exists outside of time. This is part 16 of 70+ episodes. The way of the warrior and the wisdom of Zen puts us on a spiritual path towards wakefulness. It does this by integrating the conscious mind, the body intuition and the emotional feeling center as represented by the heart. This is part 17 of 70+ episodes. Fear is one of the most important issues of Zen, the way of the warrior, and life itself. It is also one of the most problematic concepts in personal growth. The vast majority of people, not being awake, allow fear to have power over them and to control their lives, so that their decisions are frequently wrought by fearful intentions. This is part 18 of 70+ episodes. Everywhere we look we see the results of ideas that have been planted by the limitations of our current Western worldview. The public educational system teaches the most mundane learning that science can offer. This is coupled with the absence of any teaching about the existence of a creator, a soul, or a spiritual dimension beyond that which is physically perceived by our 5 senses. We, in essence, teach our children that, upon the authority of the scientific community and the State, the "facts" in this video are beyond dispute. This is part 19 of 70+ episodes. The reason you are not aware of your Soul is because it exists in a larger dimension of reality, beyond space-time (the light-cone of physics). Your Soul projects a portion of itself into physical reality, which (portion) you than percieve as yourself. This is part 20 of 70+ episodes. In the Way of the Warrior, the ancient warriors understood two things: That the battle was not a battle between one self and opponents. It was an internal battle between the ego and the true self. This is part 21 of 70+ episodes. Living consciousness is the true fabric of creation. This is part 22 of 70+ episodes. Modern science's necessity to specialize results in an intense, but narrow, focus causing a failure to see the whole picture. This is part 23 of 70+ episodes. Further thoughts about the "official" world view. This is part 24 of 70+ Episodes. You are in the center of the universe. You are a soul. God is everywhere. We are in a non physical spiritual dimension. Matter does not exist. This is part 25 of 70+ Episodes. Matter does not exist. Analyzing the consistency of an atom. This is part 26 of 70+ Episodes. This is part 27 of 70+ Episodes. Further thoughts about why everything in the universe is composed of living energy. This is part 28 of 70+ Episodes. The Stern-Gerlach experiment and the spin of electrons. This is part 29 of 70+ Episodes. Polarized light - superluminal connectedness. This is part 30 of 70+ Episodes. The three traditional ways of seeking enlightenment are: the way of the fakir, the way of the monk and the way of the yogi. The fourth way, the way of the warrior is the fastest way to enlightenment. This is part 31 of 70+ Episodes. Two very significant people who contributed to the way of the warrior are George Ivanovich Gurdjieff and Carlos Castaneda's Don Juan. This is part 32 of 70+ Episodes. Science is a religion. It simply uses a different methodology. Where science gets in trouble is in two areas: when it attempts to discuss the existence of the soul and the existence of God. This is part 33 of 70+ Episodes. God and the soul are outside of time. Time does not pass for God and the soul. This is part 34 of 70+ episodes. Time and space are limited, they are plastic. We are larger than time and space. This is part 35 of 70+ episodes. The faster you go, the slower time goes. If you could get to the speed of light, time stands still. If you exceed the speed of light, time goes backward. Time is plastic. This is part 36 of 70+ episodes. Time does not exist by itself. Space does not exist by itself. Space-time exists within the light cone of physics. This is part 37 of 70+ episodes. Suspend limiting beliefs. Stay in Double Attention. Focus on your intent or goal. Your body consciousness. Sacred Movements. This is part 38 of 70+ episodes. We are spiritual beings and we can literally cause the physical world to manifest in a certain way as the result of our consciously focused beliefs, expectations and attention.